All kids knew it by heart. Pedicabs with three wheels 三輪車 were once the king of the road in Taiwan. 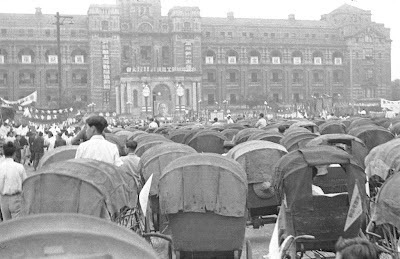 They replaced the much more labor-intensive two-wheeled rickshaws 人力車, shortly after 1945. A handful of both can still be seen today at some tourist spots. A small number of taxicabs have long been available in Taiwan, at least since the 1920s. So when did the widely available cabs enter the scene, now ubiquitous wherever you go? 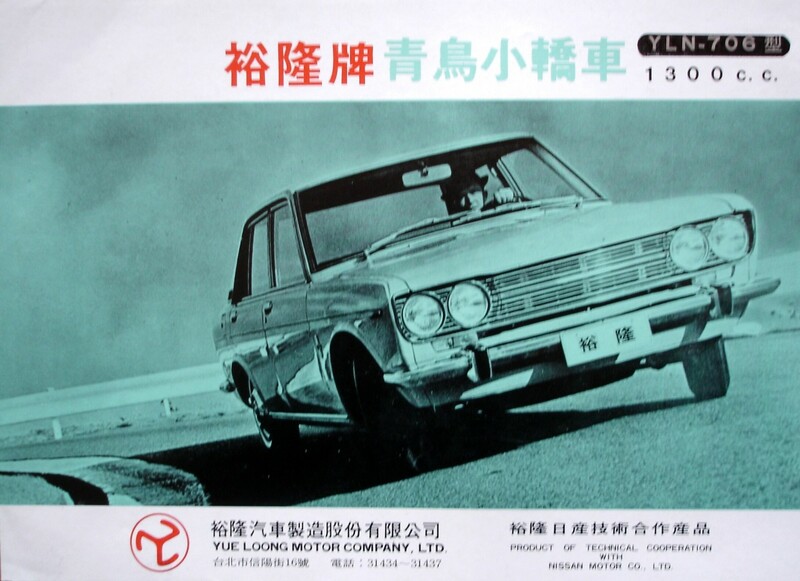 Answer: 1968. 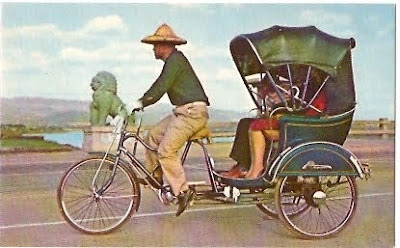 This was when the law banning pedicabs was enacted. 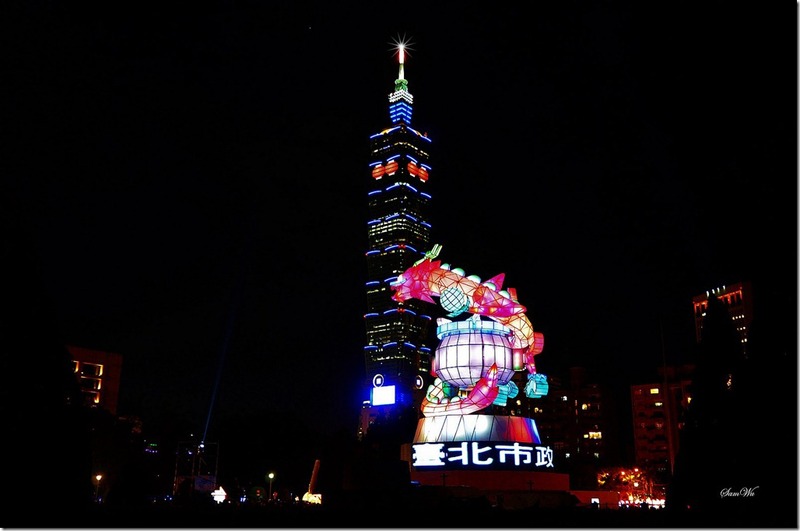 In Taipei, for example, the City Gov't bought up, at NT$3,000 apiece, and dismantled all 14,000 of them. And drivers were retrained to operate taxicabs. 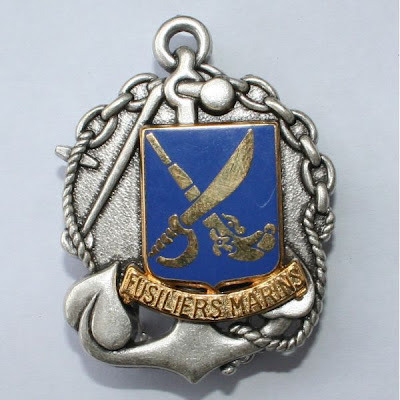 Some may still be on the job now. By and large, pedicab runners were a hardy and reliable bunch and most of them worked in your neighborhood, rain or shine. The taxi age, on the other hand, has brought with it horror stories, such as refusal to travel short distances, questionable personal hygiene and appearances (wearing T-shirts, for example), and the occasional crimes against the passengers. Much has improved since. Cabbies these days are simply trying to make an honest living in the face of competition from private car ownership, public buses and MRTs. 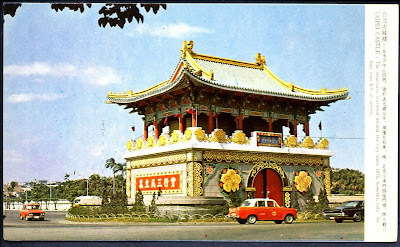 延平郡王祠 [Koxinga Temple] in Tainan [address: 臺南市中西區開山路152號] is now a very popular tourist attraction. 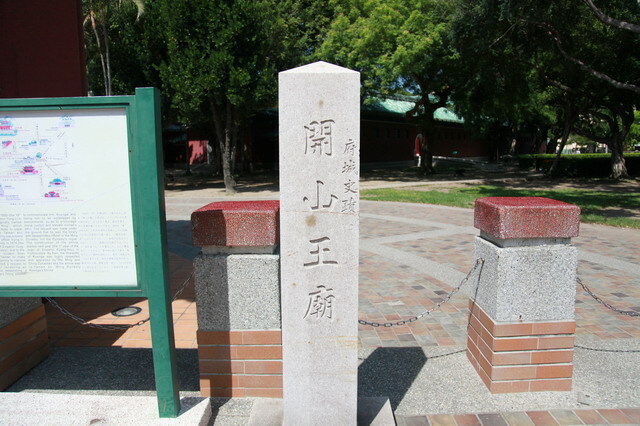 And to its right, a stone marker inscribed with 開山王廟 or Temple of King Kai-Shan also can be seen: Both 開山王 and 延平郡王 refer to the one and only Koxinga國姓爺, i.e., 鄭成功 [Cheng Chen-Gong], who recovered Taiwan from the Dutch in 1661-2. 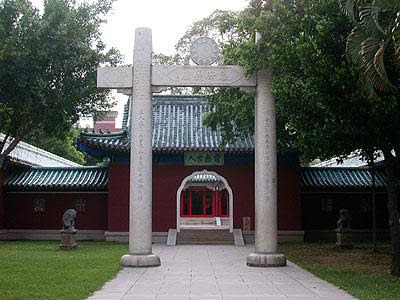 Soon after Koxinga's death in 1662, a small shrine was built on this site to memorialize him. In 1683, the Qing defeated Ming-Cheng. 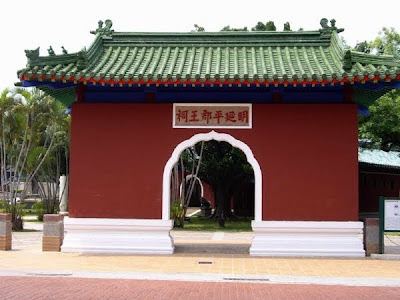 To avoid anti-Qing popular uprising in the name of Koxinga, his tomb was relocated to Nan-An, his hometown in Hokkien. 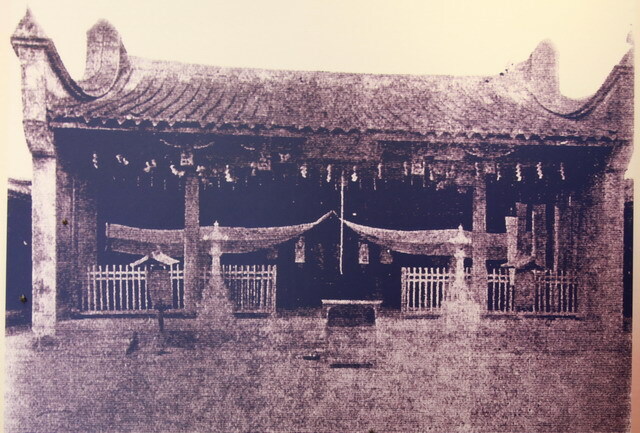 The worship of Koxinga nonetheless continued unabated, and this shrine and all other similar ones in Taiwan were named 開山王廟 to avoid trouble since Koxinga was still regarded as a historical archenemy of the Qing state. 開山, literally mountain-opening or trail-blazing, was a hidden reference to Koxinga as the first legitimate ruler of Taiwan. It was not until 1874 when Imperial Commissioner 沈葆楨 Shen Bao-Zen, recognizing the popular sentiment, petitioned the Qing Court to rehabilitate Koxinga instead as a national hero who drove the Dutch out of Taiwan. This was at a time when foreign powers came to invade China and the success of Koxinga was cited as an example to inspire the populace. 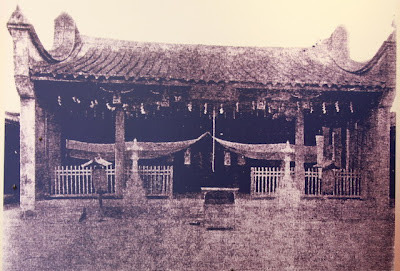 Shen's request was granted, Koxinga was even promoted from 延平王 to 延平郡王 [some sources claim that this title was to conform to the Qing nobleman ranking system rather than a promotion], and enshrined in an officially-sanctioned temple built in 1875 on the same site in Tainan. 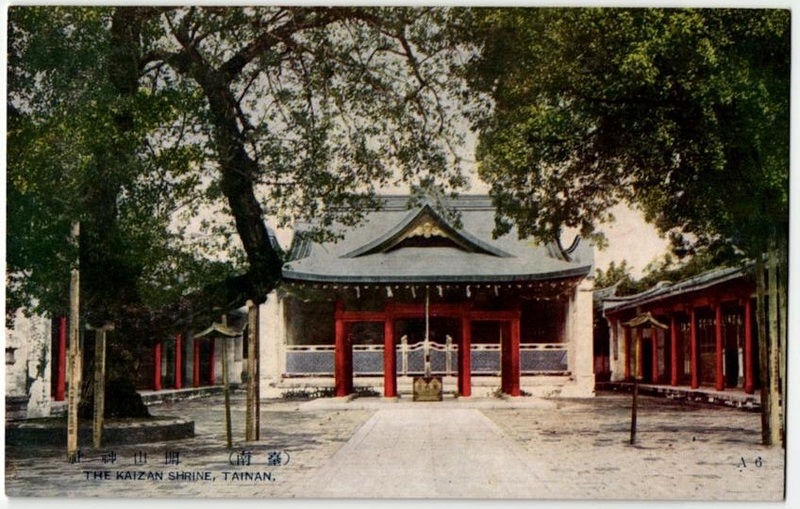 After the KMT takeover of Taiwan in 1945, most Japanese jinjas were either destroyed or altered, the Koxinga Shrine/Jinja was no exception. 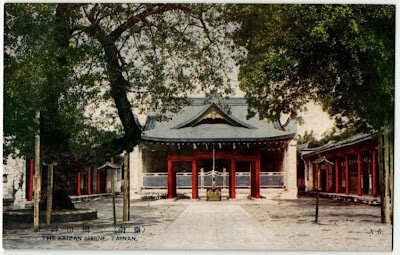 The temple itself was saved although the Japanese structures were all removed and the temple name 延平郡王祠 restored. This time, Koxinga became a national hero again, credited for his efforts in trying to recover mainland China for the Ming while his Japanese heritage was downplayed at the same time. Over a span of 300 years, the Koxinga Temple has gone through four iterations - a reflection of not only the times but also the politics. Needless to say, whichever way the wind blows, exploitation or otherwise, Koxinga will always remain a folk hero to the Taiwanese. A few notes taken from two Sino-French war contemporary sources are posted below. The two authors, Alexander Frater and John Dodd were both in Tamsui at the time of French invasion. 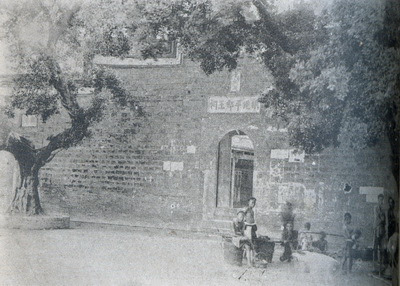 Frater in particular had dealt directly over the French war dead issue with Gen Sun Kai-Hua, commander of Qing Army in Tamsui, and Liu Min-Chuan, the Imperial Commissioner then stationed in Manga (now Wanhua). One of John Dodd's household staff was also accused of spying for the French and had implicated the "Three-Legged" Dodd [who walked with a cane]. The staff member was later executed for treason; although Dodd emerged from the bad situation unscathed and who eventually went back home to Scotland to live out the rest of his life. Alexander Frater, British Consul, in Volume 3: 1881-1885, Taiwan : political and economic reports, 1861-1960 (10 v.) Editor: Robert L Jarman, Publisher: Cambridge Archive Editions, 1997. 10/9/1884: …The above narrative has to be accepted with the reservation that we have no account from the French side. 14 Frenchmen’s heads were brought into the town [Tamsui] in the afternoon and it is said that four more were carried along yesterday morning. The Chinese make their own loss out to be 200 killed and wounded. The Missionary Hospital [the Mackay Clinic] has been crowded with injured soldiers, and it is noticeable that most of them have been wounded in two or three places. All day yesterday, the troops were engaged in burying their dead. Three of General Suns [Sun Kai-Hua] officers were killed. P 463: A friend of Li, the International Officer, states that the latter two days ago [Oct 11] buried thirteen bodies of Frenchmen at a cost of $4 each. John Dodd: Journal of a Blockaded Resident in Northern Formosa, The Daily Press, Hong Kong,1888. P 55 10/13/1884: It is said the Chinese buried the dead bodies of the Frenchmen after the engagement on 8th instant by order of General Soon [Gen Sun Kai-Hua]. P 112 2/24/1885: It is reported that the Chinese have found the head of the French officer who fell on the Downs in the engagement of the 8th October last [Lt Fontaine]. The head was buried at Banca; the body on the Downs, it is supposed.